SENECA, S.C. – Dock owners on Lake Keowee and Lake Jocassee have until Sept. 1, 2018, to remove and properly dispose of unencapsulated foam floatation on their docks. Unencapsulated foam was once widely used as the floatation material for docks. Because this material can break loose and float onto lakes, Duke Energy has not allowed its use for many years. However, a small number of older docks still have unencapsulated foam. 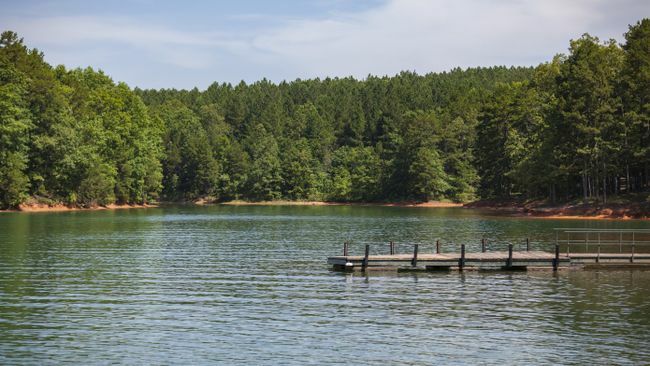 The disposal requirement was included in Duke Energy’s 2014 Keowee-Toxaway Shoreline Management Plan. The plan is an outcome of the relicensing agreement Duke Energy entered into with stakeholders during the Keowee-Toxaway Hydroelectric Project federal relicensing process. Dock owners who want to replace the unencapsulated foam with an approved floatation material must submit a lake use permit application to Duke Energy and receive approval before the work is performed. Property owners removing the unencapsulated foam and replacing it with approved floatation will not be required to pay lake use permit application or Habitat Enhancement Program fees. Applicants are encouraged to submit their lake use permit application well in advance of the Sept. 1, 2018, deadline. For questions or to request an application, dock owners may contact Duke Energy Lake Services at 800.443.5193. Applications are also available online at www.duke-energy.com/community/lakes/services/permits-shoreline-activities.